First up, thanks to the small businesses, bookkeepers and accountants who’ve joined the Xero revolution. We couldn’t have got this far without your support. You chose Xero because you wanted a better way of doing business, and we’re working hard to deliver innovative new features, partnerships and products to you. Creating and implementing game-changing ideas is what drives and inspires us. And it’s not just talk – Forbes ranked Xero as the World’s Most Innovative Growth Company in 2014 and 2015, and we were BRW’s Most Innovative Company in 2014. We’ve channeled over $100 million into the Xero platform in the last two years, made hundreds of product updates, and added powerful new features and integrations. Because Xero lives online, updates and new features are delivered automatically – unlike the clunky and expensive upgrades required for desktop software. With Xero Me, our app for payroll users, employees can request leave and managers can approve or decline it – all from their mobile. Xero Me saves on administration because employees can view their pay history and submit timesheets from anywhere. We’ve reached a point where our prices no longer reflect the strength of payroll and what’s to come. For these reasons, we’ve adjusted the prices of our plans in Australia. The biggest change is to the standard plan, where the limit of payroll employees reduces from five to one. For businesses with two to five employees, we’ve introduced a Premium 5 plan. Premium 5 has up to five payroll employees and the advanced features of auto-super and multi-currency, for $60 per month. For more information about the price changes, see our answers to FAQs, and feel free to ask questions in the comments section of the blog below. 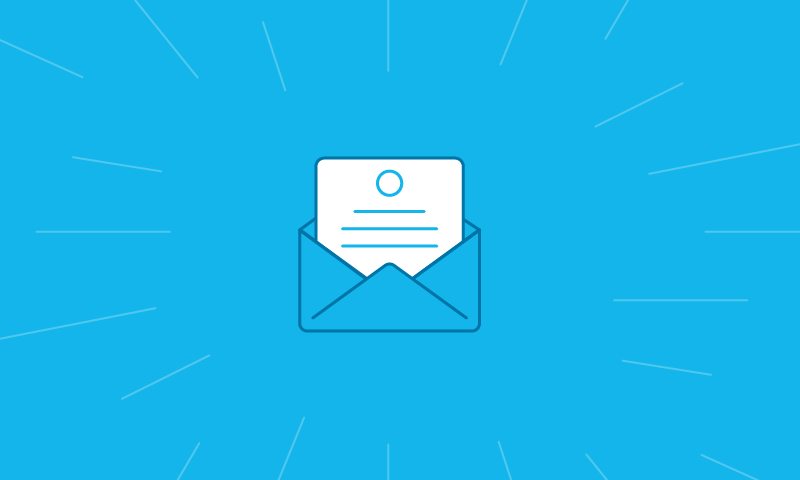 If you have further questions or need help, please contact the Xero team support@xero.com. Yes, can only see 1 or 145 comments? The biggest disappointment is not the price rise, but the reduction in payroll to 1 on the $50 plan. I would suspect that Xero would have got a lot less negative comments if that hadn’t happened, most businesses with 5 employees wouldn’t have any use for multi-currency. @Jason We have worked closely with a number of businesses, accountants and bookkeepers to ensure we make the right product and pricing decision for our customers. We’ve also introduced the Premium 5 plan to cater for businesses with two to five employees so we’re offering flexibility to only pay for what you need. We’re listening to all feedback though. How about listening to and working closely with the customers. I feel I have been lured by a 25% discount for the first year, and now will have to pay almost double. In my situation you have reduced your supplied service by 80%, imagine if your customers decided to pay you 80% less, I imagine you wouldn’t be happy. Very very unhappy. @Wendy happy for you to reach out to me directly at trent.innes@xero.com. Our accountant recommended Xero and I have yet to subscribe. My partner and I have just started a company and the starter pack would do us except for the single payroll. I have worked as a technical product manager for an international software company with a global user base of tens of thousands of users. Functionality as requested by the user base is what keeps software relevant and if focused on the mass appeal, customers should be happy and loyal. Dont know if Xero have published a road map and a list of implemented enhancements and the number of bugs fixed. This information would be useful and perhaps will pacify some. Regarding $10 price increase, as a percentage its 20%. It is often useful to consider would you be happy with a x% pay increase (or alternatively a x% pay decrease), increasing your market share by x% (or alternately losing x%). Double digit percentages increases are huge. Appears that customer base has been analysed and segmented and the majority of user base are small businesses with less than 5 users. What is appealing about Xero is that cloud based, interfaces into Reckon software and Capsule CRM, online tutorials and support. Its month end, so I had better get back to invoicing the old school way – lined paper and pen. @Leon Thanks for the feedback. I need to print out Payment Summaries – report not working? @Julieanne Are you still having issues with printing out the Payment Summaries? I am a lone trader with a book keeper and need to move from 25/month to 60/month which is a massive hike for no real benefit. Furthermore it is my understanding that your plans are significantly cheaper in the US, around 25% for the standard plan. How do you justify this? @Steve Appreciate your feedback. Xero is in over 185 countries and we set pricing on a regional basis. At this point in time, only Australian plans are changing. Also Megan I hate to point this out but your companies last email to, well, me at least and others at most, called “How to reach more customers online”, it has a link that I would like to point out. “Let your customers do the talking”, is what it says. Now I know its not quite in the context as what has been talked about here. But the higher ups need to recognize that by limiting the starter pack they are limiting their income. I read somewhere earlier in these posts you said that Xero has 250’000 customers. I would imagine that’s in Australia only. How does that compare to the 1.2 million customers MYOB states it has in Australia. Doesn’t your company want more of that pie. Xero needs to recognize they are missing out on millions of dollars a year with the limits they have imposed on the starter pack and standard pack. (Removing payrolls in standard). People are talking but its not in a good way. Listen Im not mad, I’m not angry. I’m sad that the company doesn’t understand. I’m sad that MYOB does. (I really can’t stand how they ring me and bug me). The conversations here, should not be hidden away in private emails. It comes across as dishonest and exclusive. For all I know you could be offering special deals to these people. (I’m sure your not but you see what I mean). I think you should all stop doing that. I really don’t understand why you wont increase the price by $5 and increase the reconciliations and invoices and bills to a reasonable number. Again MYOB $10 more a month and they give 400 reconciliations and unlimited invoices and bills. And their Essentials online isn’t too bad. Not as good as Xero but coming along and I would imagine they are going to improve as they go along just like Xero did. Again I don’t want to move. I want to stay but you have to improve the conditions of the Starter Pack. Also. One of your “partner plans” called non-gst cashbook is $15 and gives unlimited reconciliations. What gives. If you can do that for that plan you can do better for the “Starter Plan”. Well you have 2 more weeks left till I choose to stay or switch, so the 22 of April needs to have an answer one way or the other to the people who want to know. If I haven’t heard an answer I’ll be off. I think others will too. 20% increase for small 2-5 employee businesses. Seems excessive. Larger companies have same $10 (smaller overall % increase). $5 (10%) would have been fairer. Obviously now your market share has increased (with customers converting) its a tougher decision to change again. I think this will tarnish your good name going forward. The problem with the price rise and all the pricing packages is that now the self called ‘beautiful’ software company is becoming the ‘beautifully’ complex pricing model company. So the pricing model that used to be fairly easy to explain to clients is now becoming far more complex to explain to clients. What!! You are increasing my subscriptions, you say you are listening but I would suggest hat the management of Xero has cotton wool in their ears. People are crying out for telephone support and you ignore them yet you hike the prices or what I consider to be a product that is not a patch on MYOB. Your arrogance astounds me. @Lyn @Bradley We’re sorry you feel this way. While we do work hard to build the best possible user experience, there’s a significant amount more going on under the bonnet in Xero when it comes making value comparisons with other competitor products. Please be assured that we’re committed to continuing to invest to deliver the best value for our customers for what they pay for Xero than any vendor in the marketplace. Can i ask if its just the payroll numbers now that define what plan you are on and not the transactions? I do more than 10 transactions a month but have no employees. Just confused about if i’ll be on standard or starter. @Kate the only changes we made were in relation to payroll users in the standard product. The limits on the starter plan remain the same. @Deepesh We’re sorry that you feel that way. A huge number of the developments delivered in recent times have been focused on delivering measurable time/cost savings so it might be worth looking into some of our free training resources such as Xero U (https://www.xero.com/au/training/) to make sure you are getting the most out of your subscription. We delivered over 500 updates last year alone. My first post on xero blog and I have to say that Xero are really missing opportunities here with the less than satisfactory pricing around the “Starter Pack” pricing. I have to agree with Donald that it makes it hard to convince a potential customer to move from MYOB, QBO and Reckon when your starting point is $50??? I have raised this issue with Ann (my ex account manager) many times… by phone, Xero Roadshows, email etc and it all falls on deaf ears, not to mention the same Company standard rhetoric. Your not listening to your partners who are really concerned in regards to the starter pack and it does defies logic when the “Partner Plans” can be done at $10 and $15, but you cant change the “Starter Pack” to a price and high functionality that maybe comparable and make it easier to move people to a superior product with out worrying about the cost as a deal breaker. 20% is rather steep and could be consider of taking advantage of you position in the market! @Terry We have consulted with a number of accountants and bookkeepers to understand the administrative overhead associated with the changes and to ensure we make the right product and pricing decision for our customers. Fairly typical….get many small businesses totally reliant on your product and then up the price. With the total amount of subscribers coming on board you might think the costs for Xero would be reduced not increased. As efficiency and costs of delivery of the product are improved then the costs associated with the delivery of these services should decreased not increased. If I dictated a 20% increase to my Customers without any real justification I would see many depart. With bank rates and CPI so low in Australia what is the justification and is it worth the negativity associated with an excellent product. I definitely see the need for better small business/sole-trader plans. The $25 starter plan is far too limiting – while I understand the increases particularly for the plans that are focused on payroll – the cheaper plans need a quick overhaul so that they appeal to our smaller clients. Unlimited invoicing, bills and reconciliation. and the others as planned. It’s hard to advocate for Xero (the only system we advocate for) when it is hard to appeal to our smaller clients due to the pricing limitations. @Ariel Thanks for taking the time to comment. We’re listening to all the comments and taking it on board. @John We have worked closely with a number of businesses, accountants and bookkeepers to ensure we make the right product and pricing decision for our customers. We’ve also introduced the Premium 5 plan to cater for businesses with two to five employees so we’re offering flexibility to only pay for what you need. I would hope that the discount of 25% for 12 months that I signed up for will be honoured. I started with Xero 3 months ago, so still have a further 9 months at the discounted rate. @Matthew absolutely. Your sign on promotion period will be honoured. I am afraid I have to say something along the lines of what others have been saying. For me with just 2 employees and I have already set up my super stream through ATO and I don’t use multi-currency, I am finding it hard to see the added value this $10 extra a month will bring me. I know you said you have spoken to some accountants etc, but you didn’t actually speak to your users before introducing this change. I changed from quickbooks online to Xero, as this seemed like a better product for the price. With the leaps and bounds Quickbooks online have come on in the last 12 months, Xero seem to have done very little other than increase the price, it is tempting to switch back. As previously users have expressed I think a $5 price increase would have been fairer for small businesses like myself. It would also have been good to get some feedback from us the users (like you are often recommending we do in your emails), not a select group. To be honest it doesn’t feel like we mean anything when you introduce a change like this. Is there anyway you can reconsider this increase especially for small companies? We regularly consult with our partners and customers to garner feedback on our product roadmap and pricing decisions like this. We release significantly more feature and updates than our competitors and need to ensure our pricing matches the value we deliver. We hope that you continue to be a Xero customer. A good product, but your value proposition started out on the wrong side of good several years ago, and has only gotten worse – price has now more than doubled, for no increase in value (to me), and thus no change in how I use Xero. Worse, the practice of increasing the price and reducing the value has gone beyond a trend; price increases for the same (or reduced) level of service are now simply what I expect from Xero, no longer what I worry that Xero will do (again). I want to like Xero, but you don’t seem to have any customer loyalty. In return, I can assure you I feel no brand loyalty. @Damian & @Peter Thanks for your feedback. We have invested over $100 million on our platform in the last two years and delivered a huge range of new features that make it easier to do business. Payroll, in particular, has evolved rapidly with over twenty updates. We appreciate nobody likes paying more for something one day after the next and we wouldn’t make a change like this recklessly – but please be assured that we’re committed to continuing to invest to deliver the best value for our customers for what they pay for Xero than any vendor in the marketplace. It would appear that “payroll count” is being used as an indication of “ability to pay”. In my case, I have lots of casual students who do a few hours each fortnight; the Full Time Equivalent count is less than 10 but I have to pay for 20 and soon 30 because the limit is based on a monthly count, not per Payrun or per Dollar size of payroll. My business is certainly not expanding at the same rate as my payroll count. Maybe mine is an isolated case, but it’s looking more and more like Xero is not the product for me. Pity, ‘cos most of the bits I do use are quite good but I’m apparently having to pay for more and more features I don’t use. @Jon Appreciate you taking the time to comment. It is a generally accepted industry practice to charge incrementally based upon payroll usage. The primary reason for this is that there are variable costs to payroll. You can increase and decrease your plan each month dependant upon the number of people you pay each month. Guys. They are allowed to put their prices up. You don’t have the right to say don’t. If what I have read they haven’t put their prices up since 2013. That’s 3 years ago. So per year that’s 3.33% which is quite within reason. How many of you have had a pay increase in that time? How many of you have had to pay your employees more to match the award wage? Don’t have a go at them for putting the prices up. They have a right to earn money to pay their employees, which by the way would have a pay increase each year as well. What you should be complaining about is the features removed from standard or missing from starter to be competitive. I found another company that “I reckon” one set of unhappy customers might find good. They charge for what you add to the core program. And their light version has 100 reconciliations per month. It also really reminds me of the customization Xero has on the front page but with even more in the addons. Search around online, I Reckon you will find the One you are looking for. I’ll be moving to it. I think my accountant will be recommending it as well to their clients. @Donald Thanks for taking the time again to respond to the recent blog posts. We have worked with many small businesses, accountants and bookkeepers to ensure we have the right product and pricing decision for our customers. We accept that some people may prefer a lower cost solution and the trade-offs that brings. We would love for you to remain a Xero customer as we do believe we offer great value. I’m sad to see this notification on the pricing tab as I was about to upgrade my free trial to standard as a new user this morning. I have found several limitations in the Xero platform as I try to shift from a traditional version of QuickBooks Premier which has none of the imposed maxims for about the same $700 per year subscription, oh and I can run my multiple companies…. Your blogs have dismissed granular customer cost tracking (to invoice) as a feature that is “not on the immediate radar” and sadly now as I go to select a $60 standard plan I find I’m now forced to put my hand in my pocket for another $120 per year as we grow our staff in the coming month. Being in the IT Cloud hosting business, we are completely aware that there is NO added additional cost to Xero processing those extra 5 pays from a technology perspective, if your 3rd party super clearing house is greedily increasing their cut then I suggest Xero negotiates that down based on economy of scale. So on the previous point, when are we seeing a price reduction to account for economy of scale as you grow market and also shared efficiency gain as you mature and streamline your business to reduce development and operation inefficiency? I’m off to free trial your competition now, you’ve left me no choice. @Steve Thanks for taking the time to respond to the blog post. We would love to have you as a Xero customer. Changing pricing is never easy and we have not changed it for 3 years. During that time we have added many new features and functions including auto super which this price adjustment is targeted at. We believe the efficiencies this brings to our customers far outweighs the price change. On the job site, Xero is now known as ‘Unjustifiably Expensive Beautiful Accounting Software’. I am a small business that works in the construction industry and quite often at trade shows or even on the job, myself and other contractors and subbies talk about book keeping and who they use. Sounds like Xero are going to lose a lot of small business’ due to the increased monthly subscriptions especially for the standard subscription that only allows one employee. There are a lot of ‘2 man gangs’ out there (employer and apprentice) that say they cant afford this now and that its not value for money. Sounds like the CEO’s are just lining their pockets a little more. I’m sure it dosnt cost Xero anymore to have 2 or 3 employees on the standard subscription. If it does can you please explain the extra costs? Have to agree with Steve Perkins above who states that ‘there is NO added additional cost to Xero processing those extra 5 pays from a technology perspective’. Very disappointed and will be looking else where now. Wow Xero, I need to upgrade due to hiring a couple of staff who actually only work about 4 hrs each a month and if I was to upgrade my subscription from the Starter to Premium 5 I’d have to pay 140% more for my subscription each month. What the actual….?? I have read through most of the 2016 comments on this thread, when the pricing structure changed and it is beyond me how you could have listened to any of your customers when planning these changes. I don’t need the super function because my casual staff don’t earn over the monthly threshold and the ATO clearing house works just fine for my own super payments. AND I don’t need to handle multiple currencies. I really am so disappointed at the money grab here that Xero, as much as I thoroughly enjoy everything about your product, from now on my payroll will be done in Quickbooks. I’ve got a 12 month deal for only $7.49 per month and for the less than 20mins a month it takes me to do a journal entry in Xero, it is worth it. You, Xero, could have gotten another $25 out of me if the Standard subscription catered for 2-5 employees like I see it used too… but not an extra $35.. that is just taking the proverbial out of small business. If other packages were as user friendly I’d move everything out of Xero but perhaps by the time my discounted QB subscription has ended your execs might take a look at being able to increase your Standard market by offering 2-5 payroll again. End of rant.